Fluff accessoires by artist Claudette Barjoud! 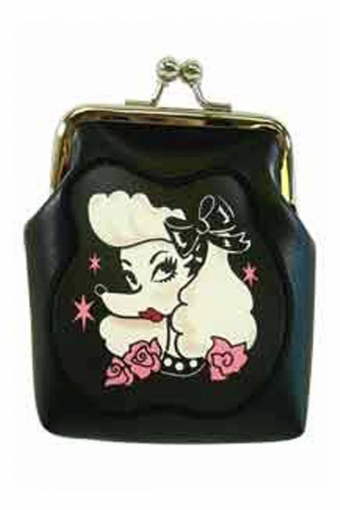 Super cute spacy Tattoo Pooch Poodle Kiss Lock Coin Purse portemonnee. Printed on vegan friendly faux leather. This sweetheart is not only for carrieng your money but, for example, also your credit- and ID-cards or favourite lipstick. So cute!